If you are inviting friends over for a movie, you definitely need to have some appetizing snacks to make the experience worthwhile. There can be so many things which can be tried, but there is nothing like fried chicken wings served with sauces of your own choices. You can order them from outside, but that will prove too costly. . The best thing would be to prepare them at home; especially when the recipe is so easy and can be prepared in less time compared to a regular meal. You don’t need to waste money on buying a complete chicken from the market. Just ask for chicken wings and choose the quantity according to your requirement. Wash the chicken wings properly. Most people like to fry their chicken wings along with the skin as it adds to the crispiness and preserves the moisture inside the meat. However, if you are health conscious, the skin can always be removed. The better way is to buy skinless wings from the shop. Now soak the wings in marinade of your choice. It will make the chicken tender. 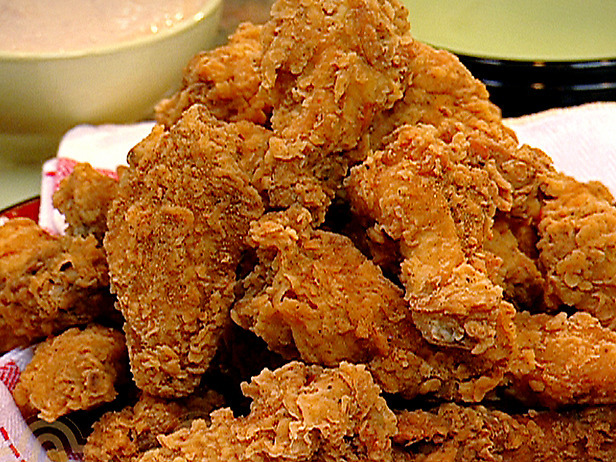 While the wings are getting soaked, you can prepare the batter. There are a lot of batter recipes available. The basic purpose is to make a tasty and crispy covering. If you have time, you can always go for lengthier recipes, but if you cannot afford to do so, just add some flour in a bowl, combine eggs and milk with it and mix properly. Now add finely crushed chips or corn flours to the batter to enhance the crispiness. Now, roll the chicken wings into the batter, so that they get covered properly. Add vegetable oil to a frying pan and heat it on high flame. When the oil gets heated, start frying the chicken wings. Once they get golden brown, remove them from the pan and place over a paper towel so that the oil drains out. 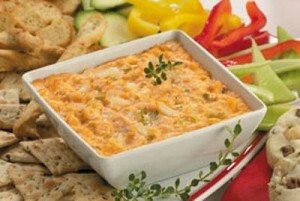 Simple and easy to make crab dip with cream cheese is going to enhance your fried chicken wings experience at home. I could never fry anything… help please? Frying is easy. We have several articles available where you can learn how to fry.